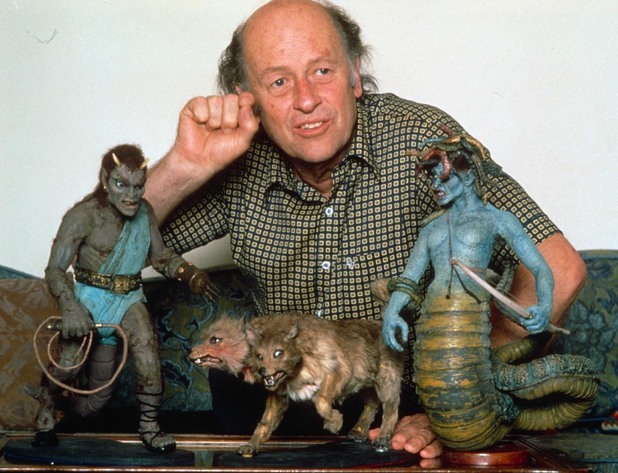 2013 saw the passing of the special effects giant of our times, Ray Harryhausen. Harryhausen may not have spent much time in front of the camera, but behind it, he brought magic to life. A creator of monsters and myths, his work influenced dozens of later movie masterminds like Steven Spielberg and Peter Jackson. Your humble scribe, Dr. Mality, owes a lot of what he is to the fantastic worlds created by Ray Harryhausen. That's why I felt I had to pay tribute to the Maestro with a special Wormwood Philm Phreaks article. Learn about Ray's beginnings and his creations such as the Cyclops, the Ymir, Medusa and Gwangi (to name a few). I hope any fan of fantasy film will find this story a worthy tribute to an awesome talent. STONE MAGNUM "From Time...To Eternity"
APE MACHINE "Mangled By The Machine"
AUTHOR & PUNISHER "Women and Children"